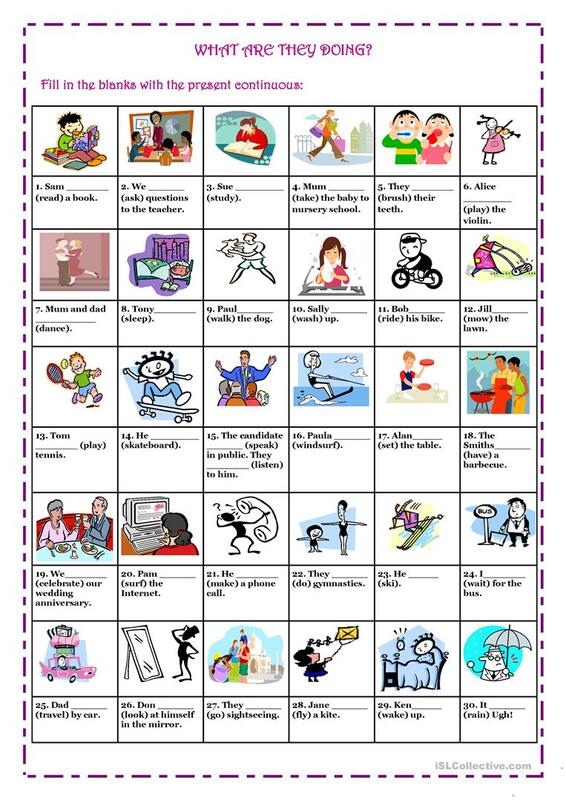 Students have to fill in the blanks with the present continuous of the verbs in brackets. The present downloadable handout is a great resource for elementary school students at Elementary (A1) level. It is great for revising Present continuous (progressive) tense in English.